Agencies offer a useful way of putting people in touch with jobs. Costs are normally paid by the employer. choosing an agency that is recommended to you by a trusted friend. your skills, strengths and aspirations to the needs of employers nearby. WoolworthsReunited members can register free. By completing a skills matrix, Keaga's technology can match your skills to specific employers who get in touch with you direct. It's like a dating agency for jobs, and it's Woolworths Reunited's hot tip site. They promise to treat every applicant with courtesy. You can always expect a reply within five days. They have an excellent, easy-to-use website where you can search for jobs on line and register for updates, as well as many innovative features like interview tips and ways to make your CV stand out. The site features jobs that simply don't appear anywhere else. * Deputy Manager vacancies may appeal to former Woolworths AMs. STLs, Entertainment Specialists and Responsible People. We are driven to offer both job seekers and employer's success by providing a positive recruitment experience through our honesty, professionalism, efficiency and knowledge. UK wide we connect, advise and support retail organisations with our specialised recruitment support; our services add value and increase productivity! To get to the point we find great performers for great positions! We're keen to help Woolies people get back to work, whether you worked in-store, at Head Office or Castleton, Logistics or Supply Chain, or the catering side in stores and offices, we have a number of vacancies that may suit you. On our website you can register a CV, check vacancies on line and register for jobs by email - you can even check the latest retail news. Why not take a look at our website and decide for yourself? Choose the site that fits the sort of role you are looking for, and we'll look forward to welcoming you. Different in the way we work with our clients and candidates. Different in the way we work with each other. that has rapidly expanded through referral and recommendation. For jobs in Retail, Executive, HR, Head Office, Hospitality, Environment and Sales sectors. for our candidates in order to get them their dream job. really make the difference - and enables us to offer only the best UK jobs. that's exactly what we deliver. 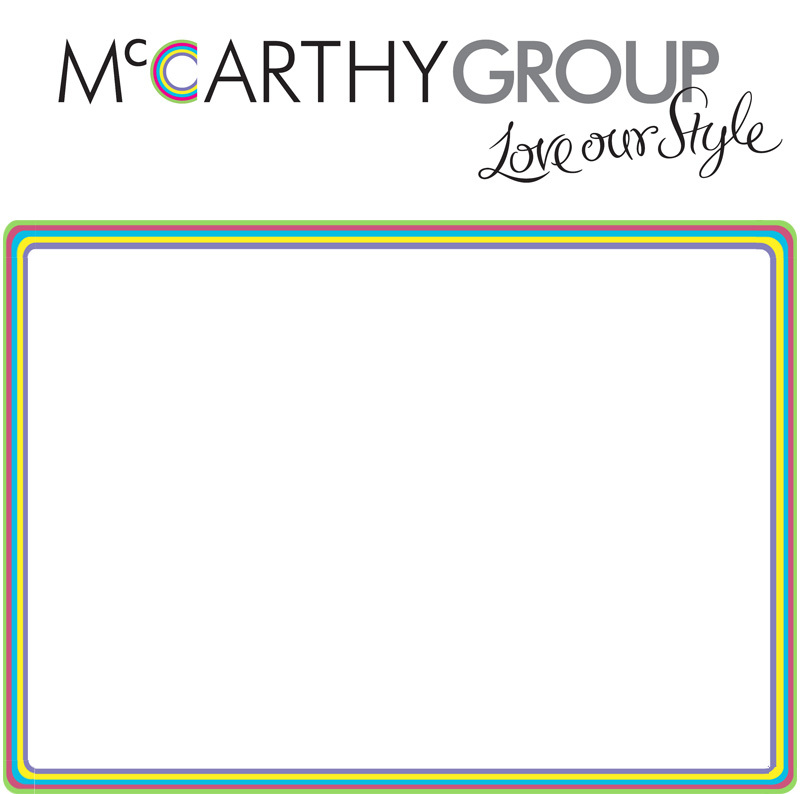 We're McCarthy. We couldn't do it any other way. Retail Human Resources plc - the UK's leading retail recruitment consultancy. We provide retail job seekers and employers with the most comprehensive recruitment and selection services available, and have built up an enviable reputation in the retail industry making us the first port of call for both job seekers and recruiters alike. We offer outstanding opportunities with some of the country's top retailers. In our dedicated job seekers section, you can find out why you should choose RHR, plus you can register to receive jobs by email and retail news updates. In addition, you'll find lots of career guidance, information about retail job types, links to useful sites and a complete list of retailers with whom we work. We're a national company, formed 14 years ago with the mission of truly understanding and empathising with the both the candidate and client. We form a real partnership with our candidates by ensuring a caring approach to their careers and development. The rps team have been carefully selected with each individual possessing extensive experience gained from a retail environment. This has enabled us to work with some of the UK’s most reputable companies – The Original Factory Shop, Natuzzi, Alexon and Harvey Nichols to name just a few. We work with some of the biggest and best names in all retail sectors, mobile phones, supermarkets, fashion, DIY, coffee shops and hospitality. Our in depth knowledge and experience of the retail market will give you the confidence to place your trust in us. Retail Week is well established as the market leading news and information source for the entire retail industry. On the back of this success we will be launching our new jobs service in March. Employers are queuing up to use our CV database to search for retail professionals, so in preparation for the launch we need you to Upload your CV now! We are also able to support your search for a new role by offering jobs by email and e-newsletter packed with tips and ideas. Retail Opportunities bring you the best retail jobs from the best retailers in the UK. Our approach is simple and straight forward – we place people first! We understand that when a retail professional, deputy manager, store manager or area manager look for jobs in retail, they want the best service – an honest approach, where what the jobseeker wants actually counts. We look upon retail recruitment and your career as a major responsibility, one we do not take lightly. We work with some of the biggest and best names in all retail sectors, mobile phones, supermarkets, fashion, DIY, coffee shops and hospitality. Our in depth knowledge and experience of the retail market will give you the confidence to place your trust in us. Using our website you can search a wide selection of retail jobs or register with us free so that we can contact you with any suitable vacancies. We are particularly keen to support Woolworths colleagues and management and get you back to work. We have already placed three Woolies Managers in new roles. Retail Options brings you thousands of new careers in retail every day. Whether you are seeking retail opportunities in head office buying and merchandising or store management jobs we will have the dream retail job for you. We are determined to give Woolworths people the support you need after what has happened and hope that you will choose to register with us on our website, so we can help get you sorted. 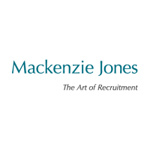 Mackenzie Jones specialises in HR and Sales & Marketing recruitment. With offices in London, Birmingham and Dubai we cover the UK, Europe and the Middle East. Here at JAM we don’t just understand the job market, we understand retail. So, when it comes to matching your skills to the right opportunity you can be sure we’ll find you the perfect fit. JAM Retail focuses on providing senior staff – usually Assistant Manager to Director level roles. And because we’re all about matching the right person to the right role, you can be sure we won’t try to talk you into anything that doesn’t suit you down to the ground. We believe in honesty, that’s why if we don’t think we can help you we won’t string you along. It might sound harsh, but it works – for our candidates and our clients – because everyone knows that we’re not wasting their time. It’s a different way of thinking. And one that makes all the difference. JAM Retail, it’s all about selling your skills, not selling you short. In addition, we have a number of divisions that might be appropriate for any candidates with experience gained in other areas. JobServe has been publishing jobs online since 1994. Our award-winning job searching website advertises vacancies on behalf of leading advertisers within Retail as well as 16 other industry sectors. We welcome Woolworths colleagues to visit, search and apply for jobs from thousands of recruiters, both agencies and direct employers. Save your favourite job searches. Set up job alerts and have them sent daily by email. Apply online for the job(s) you’re interested in with your uploaded CV and covering letter. Application Tracker will keep a record of jobs you’ve applied for. By uploading your CV and Activating it, you can make it searchable by recruiters who can contact you direct with job prospects. Witton Recruitment is a leading provider of recruitment solutions that will help maximise your company’s efficiency and profitability. Witton Recruitment combines the knowledge and expertise of a highly experienced management team together with the creative support of dedicated operational staff who are committed to the provision of personalised recruitment solutions. We all take pride in working closely with clients to meet specific needs – tailoring our service to your exact requirements. Our endeavours in this demanding industry are reinforced by our experience of providing solutions for clients seeking project support, managed contracts, temporary needs right through to permanent campaigns. We provide superb retail management jobs at Imagine Recruitment. Our desire is to help you find your next retail career move. We fully understand the individual needs of each candidate and the purpose of our company is to help you in your efforts to find that perfect Retail Management Role. You may be just climbing the first rung of your career ladder, on the other hand, you may be at the top, wondering where your next challenge in retail lies. JobPlant.co.uk is the very latest recruitment site to offer the opportunity to search for vacancies and to place your CV on the site. 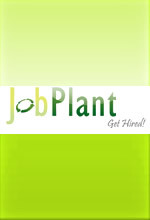 JobPlant also offers CV building advice and is the UK’s leading ‘Video Profile’ hosting site. As competition for jobs increases, getting an interview with just your CV is going to be much harder and candidates need something to make them stand out from the crowd. Posting not just a well structured CV but also a personal ‘Video Profile’ on JobPlant is by far the best way to get noticed and more importantly remembered. A personal video profile is the first meeting with a potential employer. The service is completely free for candidates who register with the site; the numbers registering is increasing daily as are the number of recruiters seeking the best people. Detail 2 Retail are one of the UK’s leading specialist Retail Recruitment Agencies who work with a large number of the UK’s leading retailers. Based from offices in both Manchester and London, we offer nationwide recruitment services for all levels of retail management. We’ve placed a wide number of Team Leaders, Assistant & Store Managers, Cell and Area Managers into new, exciting roles over the past few years with many of our clients – as well as successfully placing HR, Head Office and Field roles. If you are looking for a new role, then please visit www.detail2retail.com where you can view current opportunities and upload your CV. We have both permanent and temporary opportunities that are available and would like to invite anyone who would like to send their CV or get some advice on job hunting. Arlington Resource Management is a small independent recruitment agency, specialising in Accountants and Accounts staff. At least two of our current vacancies may suit Woolworths colleagues (as we need an Accountant and a Logistics person with retail experience). To find out more please click the link below. The Career Mentor can help you build your job hunting skills and land a new job. Woolworths employees get FREE ACCESS to www.thecareermentor.com. You can even email your job hunting questions and get guidance from our expert mentors. Go to www.thecareermentor.com and enter the access code WOOL2009 to get 2 months free access to The Career Mentor – and take the first step to getting your new job.